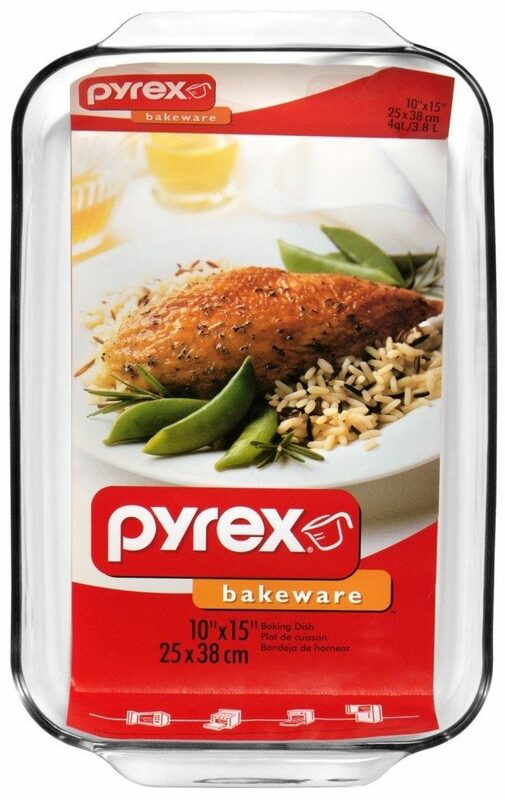 Pyrex Bakeware 4.8 Quart Oblong Baking Dish Now Just $7.35! You are here: Home / Great Deals / Amazon Deals / Pyrex Bakeware 4.8 Quart Oblong Baking Dish Now Just $7.35! Love this baking pan; great for casseroles, brownies, roast chicken and more! Head over to Amazon and get the Pyrex Bakeware 4.8 Quart Oblong Baking Dish Now Just $7.35!